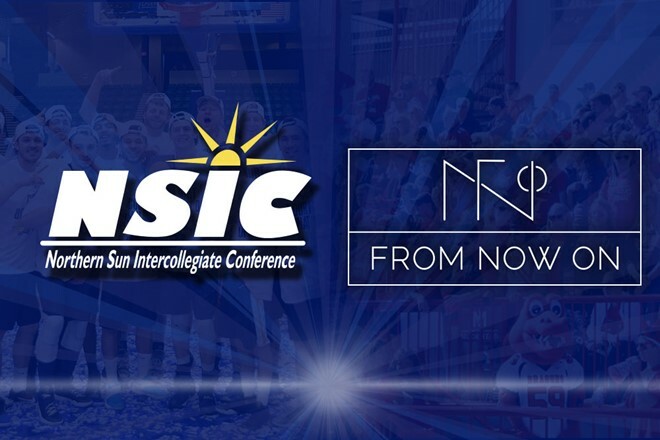 BURNSVILLE, Minn. – The Northern Sun Intercollegiate Conference (NSIC) has joined forces with From Now On to become the official fan engagement app partner of the conference. From Now On, based in Omaha, Nebraska, allows fans to receive live alerts from their favorite conferences and teams, including in-game scores, stats, and updates. Schools can utilize the integrated social media feeds as well as facility maps and merchandising platforms to offer fans an easy way to find exactly what they need quickly whether at a game or from afar. At From Now On our focus is on facilitating anytime, anywhere fan engagement through mobile technology. We built our flagship FanX™ Mobile Engagement Platform to help our growing roster of 50+ partners at schools, teams, leagues, tournaments and events throughout the sports industry deliver personalized experiences to fans at the game, on-the-go and throughout the offseason. Our team is driven by the belief that a robust mobile strategy optimizes communication with fans and cultivates analytics that help organizations make data-driven decisions. From Now On is about a commitment to a journey, to grow and make every experience count for our partners and their customers. It’s about bridging the gap from what was possible, to what is happening. To learn more about From Now On and the FanX platform please visit from-now-on.com or follow From Now On: Twitter, Instagram or LinkedIn! This release was originally published by the The Northern Sun Intercollegiate Conference (NSIC).